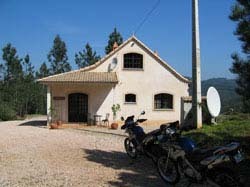 As we provide the only villa-based on and off road motorcycle holiday in Portugal, we are totally dedicated to making your motorcycle holiday dreams come true - just turn up and we do the rest! Exploring beautiful unspoilt Central Portugal on one of our BMW motorbikes is an unforgettable experience. Some of the most spectacular roads and gentle trails in Europe which lead you through forests … over streams and rivers … to mountain villages with breathtaking views … and past terraces of grapes and vegetables, still worked in the traditional way, unchanged by time. This is your chance to experience a motorcycle holiday with a difference - the alternative to a group tour - with personal attention from your tour guide together with the exclusive use of the villa and its facilities. You can choose to stay on road but, for those of you who have never tried riding off road, we can offer a gentle introduction to a whole new world of motorcycle riding. We offer the opportunity to combine mountain road riding with the experience of riding specially selected trails enabling you to visit the more remote and stunning areas this region has to offer. 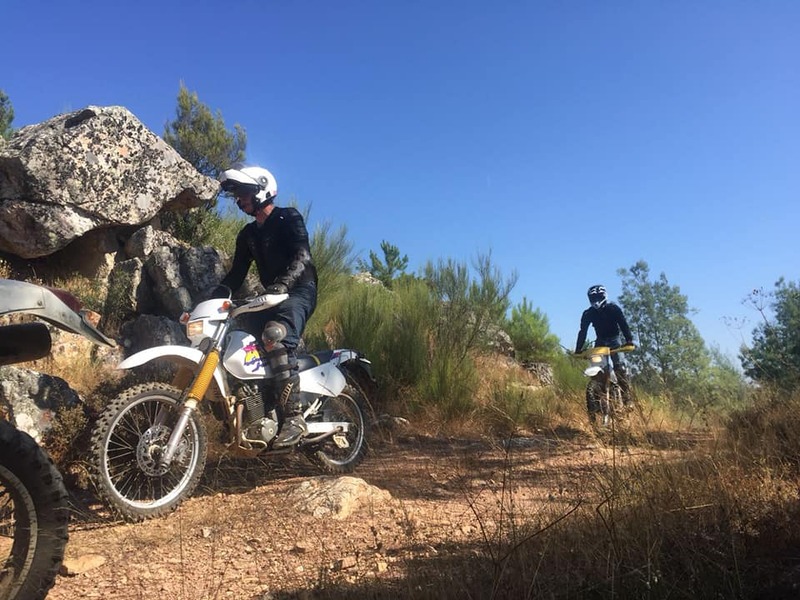 If you are using your own motorcycle, big trail bikes will have no problem with these tracks and trails; taking into account rider ability and suitable tyres. However, for those who wish to venture further off the beaten track, we have lighter trail bikes available and a selection of more challenging trails and paths have been planned with these in mind. To book your motorbike holiday of a lifetime or to discuss a potential tour, please call Geoff or Lin on 00 351 235 296452 (Portugal) or email us by using the contact form provided. Additional activities available in the region include go-kart racing, horse riding, golf, fishing, canoeing, etc. If you are interested in any of these activities we can provide details or put you in touch with the various organisers.